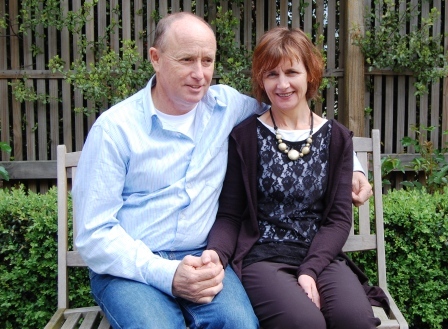 The Golden Oldies Mission tours are led by Graeme and Jane Mitchell. Graeme and Jane are running these trips as a personal conviction they have to give our Seniors a missions experience. Graeme is the General Manager of Archer. Archer is a Christian Charitable Trust in Christchurch and owns three Lifestyle-Retirement villages and two Residential Homes. He has been involved with the Rev. Steve Maina, the National Director for NZCMS, and together went on the NZCMS Kenya Encounter Mission in 2010. Currently Graeme is also a National Board Member of NZCMS. In 2011, they attended the Anglican Pacifica Synod in Suva , with Canon Robert Kereopa of the Anglican Missions Board. Together they visited a number of development projects around Suva, and now Graeme has a strong desire to ‘mobilise Seniors’ for Mission, in a new dynamic way, experiencing a mini-mission on the front line. Jane, previously a teacher, is these days more like a ‘Community Pastor’. She manages the Shirley Community Trust and runs a Community-Outreach Cafe. She was also a member of the NZCMS Short-term Women’s Mission to Kenya in November 2012. Jane is on the local AAW, and together with their children worship at St Stephen’s Anglican Church in Shirley, Christchurch. Since 2012 they have successfully run Golden Oldies and Youth-Family Missions to Fiji, and the overall feedback from the team was been how inspirational the trips are. “This Golden Oldies Mission has changed our concept of missions in the Islands. Now I annouce that the Golden Oldies Mission is to be an important part of missions to our Islands going forward into the future”.